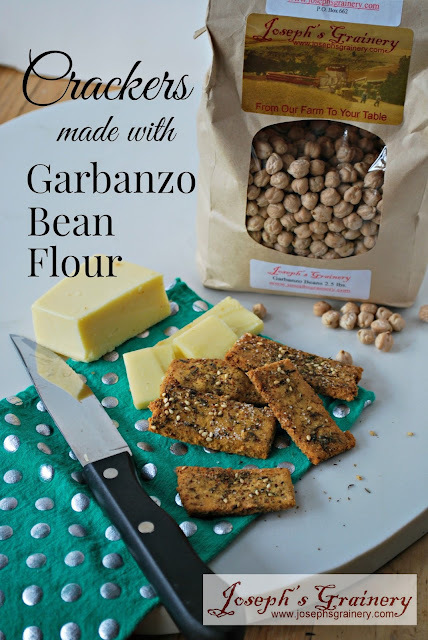 Maybe the new year has you eating healthier and these Garbanzo Bean Crackers fit the bill with all their protein and fiber. Or maybe your gluten-free life needs a bit more crunch in it? You'll love these crackers made with Joseph's Grainery Garbazno Bean Flour. In a large bowl, whisk together the flour, salt and baking powder until combined. With your hands, rub the olive oil into the dry mixture to distribute evenly, making sure there are no clumps. Move the mixture to your food processor. As the processor is running, add the 1/3 cup of warm water until the mixture comes together. If the dough is still dry, add additional water 1/2 Tbs at a time until a dough ball is formed. Knead the dough for 5 minutes by hand. Divide it in half and wrap the portions in plastic wrap. Let rest for 10 minutes (or a little longer - I ran to pick Not-so-little-Joe up at the bus stop while my dough was resting). 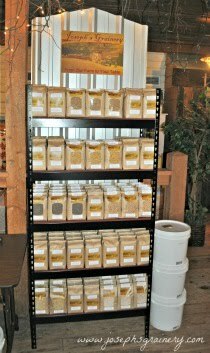 Made the mix of spices. In a mortar and pestle (or a bowl and some other instrument), crush the thyme and marjoram. Add the sumac and salt and grind again until incorporated. Mix in the sesame seeds and set aside. Place two sheets of parchment paper on a flat surface and place one portion of the dough on each sheet. Flatten the dough with your hands and then cover with another piece of parchment and roll out to an 1/8 of an inch thickness. 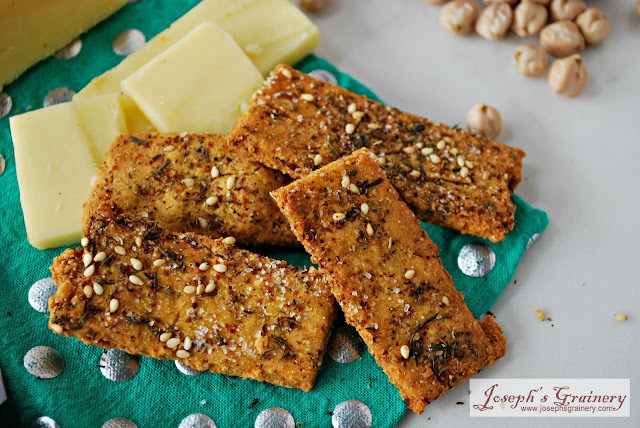 Cut the crackers to your desired shape and then sprinkle with the spice mix. Use your rolling pin to gently push the spices into the crackers. Transfer the crackers to a baking sheet and baking for about 18 minutes or until the crackers are lightly browned on the edges. Remove from oven and let cool.